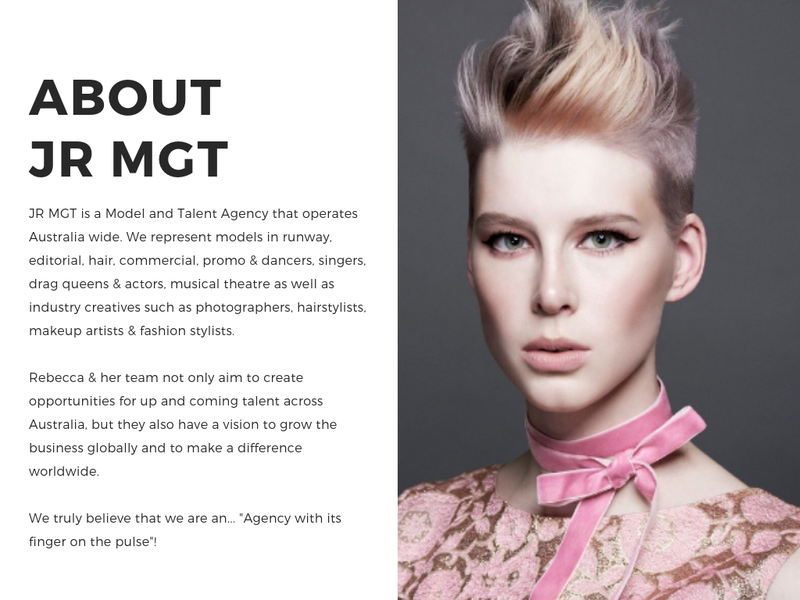 JR MGT is a Model and Talent Agency that operates Australia wide. 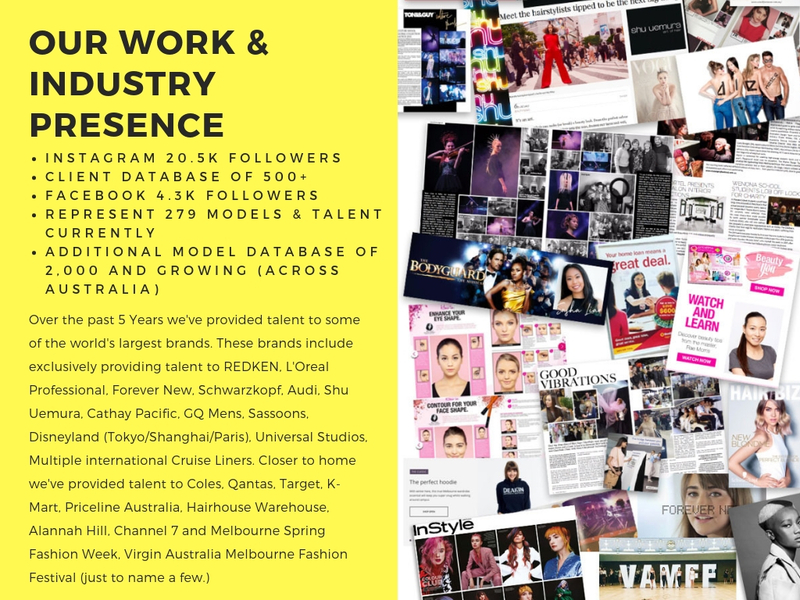 We represent models in runway, editorial, hair, commercial, promo & dancers, singers & actors, musical theatre as well as industry creatives such as photographers, hairstylists, makeup artists & fashion stylists. JR MGT caters to all the professionals in the creative industry. Rebecca & her team not only aim to create opportunities for up and coming talent across Australia, but they also have a vision to grow the business globally and to make a difference worldwide. We truly believe that we are an... "Agency with its finger on the pulse"!